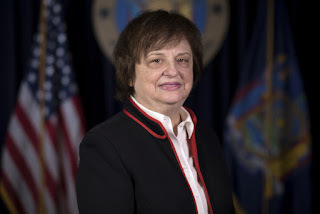 NEW YORK – New York Attorney General Barbara D. Underwood released the following statement after today's oral argument in front of Judge Jesse Furman of the Southern District, who allowed the Attorney General's lawsuit to move forward amid "strong" evidence the Trump administration acted in bad faith, and granted the Attorney General's request for discovery. Attorney General Underwood leads the coalition of Attorneys General that filed suit to protect a full and fair Census. "Today marked a major win in our lawsuit to protect the Census, with a federal judge ordering the Trump administration to provide vital information on how the decision to demand citizenship status was made, and what it may mean for New Yorkers and Americans across the country. "The federal government has a solemn obligation to ensure a fair and accurate count of all people in this country. By demanding the citizenship status of each resident, the Trump administration is breaking with decades of policy and potentially causing a major undercount that would threaten billions in federal funds and New York's fair representation in Congress and the Electoral College. "Our office is proud to lead the coalition of Attorneys General that filed suit earlier this year, and we won't stop fighting to ensure a full and fair Census."